Whew!!! I had a Very Busy but Totally Rewarding March. I never get tired of helping Real Estate Dreams come true; making this pyramid is just the Cherry on Top! BIG Thank You to my VIP clients and all who helped make this achievement possible. After a fairly strong February, the city of Saskatoon’s March housing market had spring in its step as both new listings and sales rose over last year, by five and 11 per cent respectively. The Saskatoon Region Association of REALTORS® (SRAR) reported 702 listings were posted to the Multiple Listing Service® (MLS®), up from 668 last March, but significantly down from 850 in 2017. Sales jumped 11 per cent to 258, up from 233 last year but down from 308 in March 2017. At the same time, the average selling price dropped four per cent to $316,445, down from just over $328,000 a year earlier, partly due to a higher proportion of entry-level home sales below $400,000. There was also a significant decrease in the number of sales recorded between $400,000 and $450,000. Even so, the dollar volume of homes sold increased seven per cent to just over $81.6 million, up from $76.5 million a year earlier. “We’re coming into the spring market, and the degradation of prices over the last three year has made it a little more attractive out there. People do get a little bit more optimistic in the spring,” said Jason Yochim, CEO of SRAR. The Saskatoon Region, which includes smaller communities in the Census Metropolitan Area, saw a five per cent increase in listings, to 1,084 (up from 1,034 in 2017) and a four per cent increase in monthly sales, to 359 (up from 345). Listings generally begin to trend upward as March, and spring, approach. Excluding Saskatoon, regional listings were flat with last March and sales fell nine per cent to 77, down from 85. The selling price dropped 12 per cent to $275,000. In 2019 so far, Saskatoon and region listings, taken together, are down two per cent to 2,675, 1,736 of those in the city proper. Sales are up two per cent to 929, up from 909 in 2018, and dollar volume has fallen one per cent to $213 million, down from $215.5 million. Active listings sat at 3,184 at the end of March, down one per cent, with 1,611 of those in Saskatoon, down four per cent. While the 2019 market has been kinder to home sellers than in the last three years, it remains important to price properties appropriately to present conditions, said Yochim. The sales to listings ratio was 37 per cent in March, which still signifies a buyers’ market. Of course, it’s only a meal. You can go somewhere else next time. But, what if the same scenario played out once you had moved into a new neighborhood? Imagine you were counting on public transit being in easy walking distance, but discovered the nearest stop is four blocks away. Argh! That's why it's important to ensure a neighborhood has the characteristics you want — before you make an offer on a home you like. Think about what you want most in a neighborhood. Consider work, commuting, schools, playgrounds, noise level, walking and cycling, hobbies, shopping, entertainment, etc. If there is a neighborhood feature that is very important to you, check it out for yourself. For example, if easy access to a main highway is desirable for commuting, take the route for a test drive. You can get a lot of information on a neighborhood through the listed property's description and MLS listing. I have just sold a property at 630 Carter WAY in Saskatoon. Charming 2-storey home ideally located on a desirable, quiet, mature crescent. This inviting 1344/2 sqft, 4 bedroom, 3 bathroom family home is fully developed for maximized enjoyment of living space. Boasting an open main floor layout with spacious entranceway, naturally bright oversized living room with easy to clean laminate flooring and beautiful bay window, white heritage kitchen with plenty of counter space, walk-in corner pantry & large island and is accented by a stainless steel fridge, slide-in stove, otr microwave, b/i dishwasher and quality tile backsplash & flooring leading into the dining area. The Upper level features a huge master bedroom with bay window, 3-pc en-suite and walk-in closet, 2 ample sized additional bedrooms and modernized 4-pc bathroom with beautiful tile tub surround and flooring. Basement has a cozy family room that’s wired for surround sound and has an additional 4th bedroom, bonus den/storage room, 3-pc bathroom, under stair storage and laundry room. Eye catching street appeal, relaxing East facing front Veranda, off street front drive parking, fully fenced, landscaped with brick flowerbeds, storage shed and large deck. This home includes Samsung washer/ dryer as well as central air conditioning to combat the hot summer days that are sure to come and has alley access in back for future option of garage. Priced 10,000+ below October 2018 appraised value & city fair value. Close to the new development areas of Blairmore & Kensington shopping & amenities. This is the house you’ve been waiting for; book your private viewing now. Congratulations to my repeat VIPs’ Spencer and Jenna on the sale of the home I had the privilege of helping you purchase years ago. It’s an amazing family home that you’ve tremendously enjoyed and it took less than a week to find another family who felt the same way. I’m thrilled to have been able to beat market averages for you; not only for Days on Market but also List to Sell price percentage - Take that Buyers Market Averages!!! Thank you for your trust & hard work to make this happen, I couldn’t have done it without you. I greatly appreciate your loyalty and ongoing support. It’s been wonderful helping you again, this time as your SRS®, RENE, Realtor®. 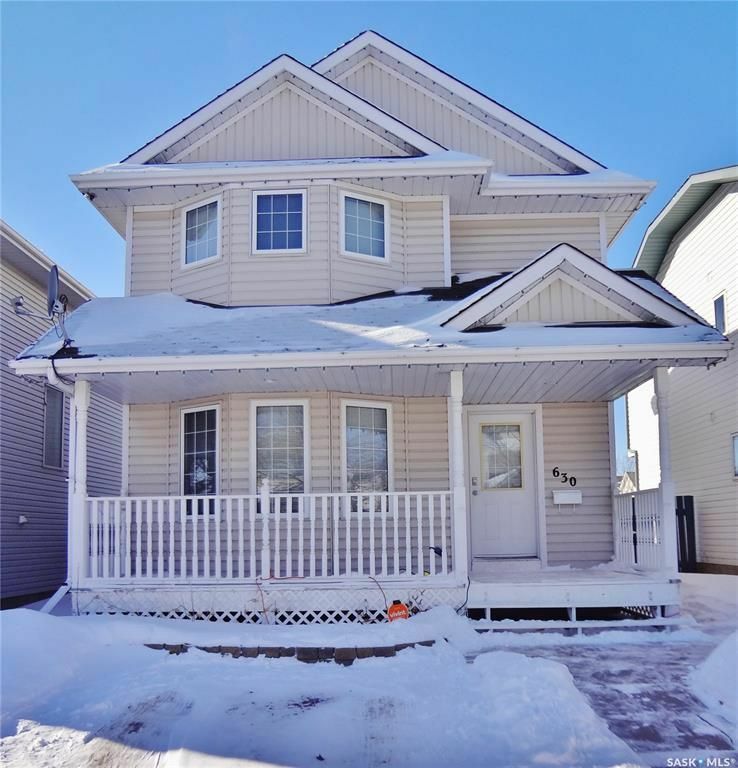 I have listed a new property at 905 TEMPERANCE ST in Saskatoon. Investors! Location! Rare and unique 3 suite revenue property in prestigious beautiful Nutana; situated on one of the most desirable streets in Saskatoon. This income generating property has a South Easterly exposure, charming street appeal and many character touches. Live in or rent the Main floor which is accessed by an inviting front veranda that leads to spacious porch/mudroom. Main floor features a spacious living room accented by beautiful original hardwood and gas fireplace with surrounding frosted glass wooden cabinetry, a large formal dining room & galley kitchen with newer Vinyl flooring, four piece European bathroom and two ample sized bedrooms. The currently rented second level features a bright, open concept loft living style consisting of a living room, dining area, breakfast/sitting nook and upgraded kitchen with newer laminate flooring, quaint 3 piece bathroom with skylight and 2 large bedrooms with newer carpet. Currently rented basement suite features, a trendy open style kitchen and dining area , large living room with nook and 2 large bedrooms and large 4 piece bathroom with built in linen shelving. Shared laundry in basement, each suite has its own separate entrance. The attached oversized 21 x 17.9 garage has been developed into a separate living space. Though currently not functional as a garage or heated, it’s easily converted back or could be further developed to make a possible 4th suite. Fully fenced, large mature lot with shed & triple asphalt parking in back. Well maintained with upgrades being: boiler (2014), Hot water tank (2018), electrical panel (2007), shingles (2010). Includes 10 appliances and sauna. Fully rented this property was generating $3200/month. PRICED $25,000 below Oct. 2017 Appraisal. Walking distance to University, the River and Rotary Park, Downtown and Broadway. · Open the curtains, even at night. This will make each room seem brighter, more appealing and more spacious. · Pull out some boxes or storage bins. Put away personal knick-knacks (like that bowling trophy) and other personal items to reduce clutter on shelves and countertops. · Clear countertops in the kitchen and bathrooms. Put the old toaster oven out-of-sight. · Make sure lighting throughout the house is bright and comfortable. In darker areas, plug in a lamp. · Clear away as much as you can in the foyer. Make that space look open, uncluttered and welcoming. · Move cars out of the driveway. Give the buyer a convenient place to park! · Make the beds. Fluff pillows on sofas. · Open a window and air out the kitchen, especially if you just finished cooking. · Make sure your pet is in a crate or, if possible, out for a walk. Not everyone loves pets. Despite the very cold temperatures in February, Saskatoon and region home sellers found a little warmth as new listings dropped 7% and sales rose 6%. The Saskatoon Region Association of REALTORS® (SRAR) reported 731 homes were listed, down from 783 in the same month of last year, while sales rose to 296 from 280. The dollar volume of homes sold through the Multiple Listing Service® (MLS®) rose 4%, to $95.8 million from $92.4 million. Year to date, listings dropped 7% to 1,591, sales were up 1% to 570, and the dollar volume was down a marginal 1% to $180.8 million. City homes listed to date in 2019, at 1,033, are at their lowest level in nine years. February statistics indicate a change in a market that has been declining for four years. The average price in Saskatoon also recovered slightly to $338,268, up 2.3% from last February. Yochim cautioned that average prices can be misleading because the basket of sales in any given month can be very different from another. For example, if two or three high-priced homes sell, that can significantly skew the average. A better gauge, said Yochim, is the Home Price Index (HPI), which tracks prices over time based on a benchmark determined 15 years ago. Saskatoon’s overall HPI, including apartment-style condos, was $282,600 last month, down 3% from last year. The most expensive category, two-storey single-family homes, was down 1% at $356,000. 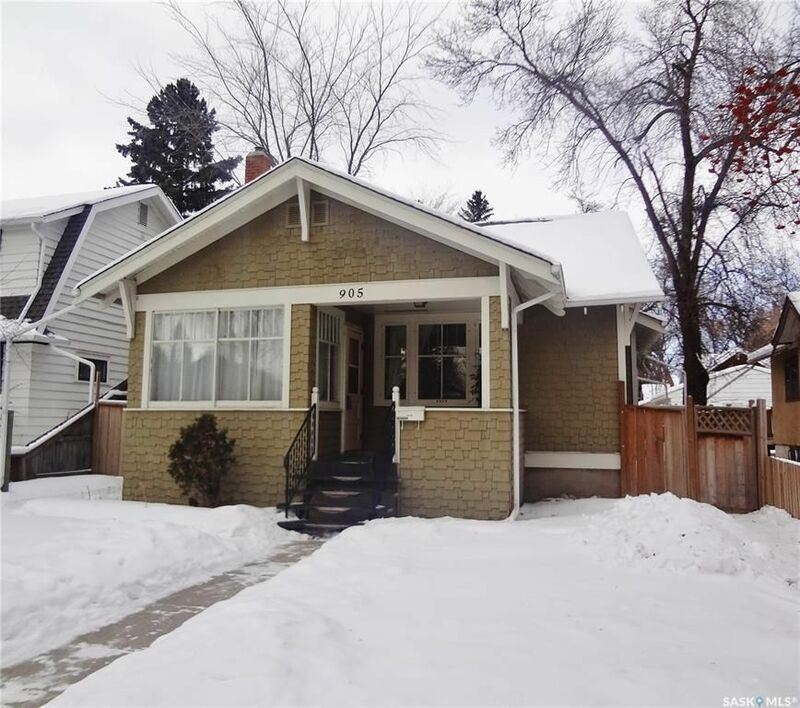 Saskatoon remains a buyers’ market, with a sales-to-listing ratio of 44; but the ratio has risen from 34 in January, for a year-to-date ratio of 40. A ratio of 50 is a balanced market, while a ratio of 60 denotes a sellers’ market. I have listed a new property at 630 Carter WAY in Saskatoon. Charming 2-storey home ideally located on a desirable, quiet, mature crescent. This inviting 1344/2 sqft, 4 bedroom, 3 bathroom family home is fully developed for maximized enjoyment of living space. Boasting an open main floor layout with spacious entranceway, naturally bright oversized living room with easy to clean laminate flooring and beautiful bay window, white heritage kitchen with plenty of counter space, walk-in corner pantry & large island and is accented by a stainless steel fridge, slide-in stove, otr microwave, b/i dishwasher and quality tile backsplash & flooring leading into the dining area. The Upper level features a huge master bedroom with bay window, 3-pc en-suite and walk-in closet, 2 ample sized additional bedrooms and modernized 4-pc bathroom with beautiful tile tub surround and flooring. Basement has a cozy family room that’s wired for surround sound and has an additional 4th bedroom, bonus den/storage room, 3-pc bathroom, under stair storage and laundry room. Eye catching street appeal, relaxing East facing front Veranda, off street front drive parking, fully fenced, landscaped with brick flowerbeds, storage shed and large deck. This home includes Samsung washer/ dryer as well as central air conditioning to combat the hot summer days that are sure to come and has alley access in back for future option of garage. Listed 10,000+ below 10/18 appraised value & city fair value. Close to the new development areas of Blairmore & Kensington shopping & amenities. This is the house you’ve been waiting for; book your private viewing now. 1. Find out how much your current property will likely sell for on today’s market. 2. Arrange for financing, so you know what you can afford. 5. Prioritize the property features you want most, so you can be flexible if a feature is missing from a home listed on the market that is otherwise ideal. 7. When you find a home you want, make an offer designed to get the property — without overpaying. 8. Negotiate until you secure the deal. This may involve counter-offers. 9. If the negotiation is skillfully done and all goes well, the home is yours. As you can see, there isn't a lot of mystery in finding your next dream home. You just need to take the steps and get the professional help you need along the way. Looking for a real estate agent that can get you to the finish line? Call today! Year over year average sale price was down 12% in January at $302,412. By comparison, the average price in January of 2017 and 2018 was $$341,260 and $344,720 respectively. The challenge with averages is that the numbers can be skewed in a given period and are therefore not a reliable reflection of pricing. For this reason, the Canadian Real Estate Association created the MLS® Home Price Index (HPI) for major cities to give a more accurate reflection of pricing trends. The HPI establishes attributes for a handful of typical housing styles; Single Family, One Storey, Two Storey, Townhouse, Apartment and a composite of all five. It then establishes a base value to each with the starting point of 2005. From that starting point, changes in value are recorded over time to get a better sense of what is happening to pricing and where prices may be trending. For example, the MLS® HPI value for a typical Single-Family home in January of 2005 was $140,400. This value reached its peak in May of 2015 at $329,500. At the end of January 2019, this value is at $304,300, down from $307,300 in last January. This indicates a less drastic decline in year over year values. By comparison, five years ago this benchmark price was $320,800 and ten years ago $268,200. For more information on HPI go to contact a member of the SRAR or visit saskatoonrealtors.ca . The total MLS® dollar volume for sales in the Saskatoon Region for January was $84M down 6% from a year ago and comparable to 2017. In spite of this dollar volume decline, January residential home sales on the Multiple Listing Service (MLS®) in Saskatoon totaled declined by only 1% in January with 199 transactions. The region surrounding Saskatoon had 60 MLS® sales in January, only five less than last January and 18% more than January 2017. Residential MLS® listing totals for January was the lowest in the past six years with 555 new listings introduced to the market, 10% lower than last January. For the market surrounding Saskatoon, the number of new MLS® listings was unchanged from a year ago with 216 units listed on the market. “New listings to the market are not always houses being introduced for the first time to the market.” comments Jason Yochim, CEO of the Saskatoon Region Association of REALTORS® (SRAR). “Often new listings are homes that did not sell in the initial listing attempt and are relisted, often at a revised price.” The total number of active listings as at the end of last month was 1,450 compared with 1,529 last year. “It’s positive to see the overall number of active listings decline to prepare the way for prices to recover.” adds Yochim “some price ranges with still have a good supply to choose from while others will not. It’s important to remember that REALTORS® have the greatest access to available property” he adds. December residential home sales on the Multiple Listing Service (MLS®) in Saskatoon totaled 164 transactions, 20% fewer than December of 2017 which recorded 205 residential sales. The region surrounding Saskatoon had 43 MLS® sales in December of 2018, only one less than the previous December. The total annual number of residential home sales for 2018 in Saskatoon totaled 3,329 units. This is a 5% decline compared to the total number of home transactions for 2017. This represents the fourth straight year of a decline in annual home sales in Saskatoon. By comparison there were 4,417 MLS® sales in 2014, an overall reduction of almost 25%. There was no change in the total annual sales for the surrounding region with 986 residential MLS® transactions. The total dollar volume recorded for residential MLS® sales in Saskatoon in December was $55.6 Million, down 20% from December 2017. The total dollar volume for the entire year reached $1.108 Billion, 8% lower than 2017. The combined dollar volume for Saskatoon and region for last year was down 4% from 2017 at $1.524 Billion. Residential MLS® listing totals for the year continued to be lower than previous years. A total of 7,956 residential listings were recorded for Saskatoon on the MLS® System in 2018. This is an 11% reduction from 2017’s total of 8,969, representing over 1,000 fewer new listings. The five-year average for new listings in a calendar year in Saskatoon is 9,081. “Even though overall sales are down, fewer new listings has helped contribute to fewer properties available to buyers in the Saskatoon market.” comments Jason Yochim, CEO of the Saskatoon Region Association of REALTORS® (SRAR). The total number of active listings at the end of the year was 1,487, consistent with the five-year average of 1,480 available properties. The highest level of active properties was in July of 2017 when there were 2,210 active listings in the city of Saskatoon “Available properties will vary depending on neighborhood, price range and style.” cautions Yochim “some price ranges with still have a good supply to choose from while others will not. When it comes to home price trends, the best indicator of what is happening with home prices is the Home Price Index. The Home Price Index establishes attributes for a typical single-family home with a base value in 2005. From that starting point, changes in value are recorded over time to get a better sense of what is happening to pricing and where prices may be trending. The value for the typical single-family home in January of 2005 was $140,400. This value reached its peak in May of 2015 at $329,500. At the end of December, this value is at $307,000, down from $310,900 in November. This value is virtually unchanged from a year ago, however, it has been trending downward since the middle of 2018. Is there an area you'd love to get into that's "hot"? In other words, an area where, as soon as a new home comes up for sale, buyers are clamouring to see it? It can be intimidating to try to buy into a neighbourhood like that. On one hand, it's the type of area you'd love to call home. After all, there are good reasons why it's so popular! On the other hand, you might be discouraged by the competitiveness and prices. If you want to live in that neighbourhood, there are a couple of things you can do that will increase your chances of success. The first is to create a strategy. Most buyers rush to see a listing in a desirable area only when it shows up on MLS — or sometimes only when it's advertised. You'll have a better chance of getting into the neighbourhood if you are alerted the moment a property comes up for sale and you have pre-arranged financing. You’ll get to the head of the line and be ready to make a credible offer. The second option is to consider targeting other neighbourhoods with similar characteristics. You may have long-dreamed of living in Prestigious Area A, yet there might be a Hidden Gem Area B that is just as good. Maybe it’s even better! Ultimately, your goal is to find the home you want in a neighbourhood you like. The right strategy will get you there. Wouldn't it be nice if you had all the time in the world to find your next dream home? You could leisurely browse the current listings, select homes you'd like to see, schedule visits on dates that are most convenient for you, and make an offer on a property only after you've had plenty of time to consider all the alternatives. Sure, that sometimes happens, but it's not typical. Often, people shopping for a home are on a timeline. Sometimes a very tight timeline. So how do you find your next dream home when you don't have all the time in the world? First, you need to develop a clear picture of the home you're looking to buy. How many bedrooms? What size of property? What type of structure (two story, back split, etc.)? Then, you need to list your preferences. These might include "large kitchen" or "main floor office". Once you've completed that exercise, you'll have a more detailed profile of the type of property you want. That will make it easier to decide which of the listings on the market you want to see. You should also narrow down the area in which you'd like to live. If you have three or four targeted areas, and only consider listings in those areas, your home search will be much faster. What if you don't know the neighbourhoods well? Visit a few. Drive around. Explore. Get as much neighbourhood data as possible, such as demographics, recreational activities, parks, shopping, schools, etc. Then choose the neighbourhoods that fit your lifestyle. Finally, the best way to find a new home on a tight schedule is to work with the right real estate agent — someone who, like me, is experienced in the local market. The total number of residential home sales for the month of November in Saskatoon on the Multiple Listing Service (MLS®) totaled 203 units. This represents a 22% decline compared to the same month last year. The highest total for sales to the end of November was in 2014 reaching 4,203 transactions. This total has been steadily declining since with year to date sales at the lowest in ten years. At the end of last month there was a total of 3,167 residential MLS® transactions in the city, this is a 25% decline from the high of 2014. Total new residential MLS® listings has also been declining since 2015 when there were 9,411 by the end of November. The total number of residential MLS® listings for Saskatoon as of November 30th was 7,646, a 12% decline compared to last year and a 19% decrease from 2015. Total active residential listings at the end of last month was 1,716, comparable to the five-year average and slightly higher than the 10-year average of 1,388. At the current rate of sales, it would take just over 8 months to liquidate the current active listing inventory. “The months of inventory has been steadily increasing from 3.8 months in November of 2012.” comments Jason Yochim, CEO of the Saskatoon Region Association of REALTORS® (SRAR). “Even though homes in November were selling at 96.2% of the asking price, it still took two months for the average home to sell in Saskatoon” he added. The sales to new listing ratio helps to determine if it is a sellers or buyers’ market. It is considered to be a balanced market when the ratio is at 50%, a lower percentage than this is considered a buyers’ market and above, a sellers’ market. The sales to listing ratio in Saskatoon for November was 38%, favoring buyers. Typically, when referencing home prices, the focus in real estate is often on the average price. The danger in this is that the average can be misleading and is easily skewed. Case in point, if there are more, higher priced homes that sell in a certain period than another comparable period, the average will be higher. The opposite could occur the following month resulting in a lower average. A better indicator of what is happening with home prices is the Home Price Index. The Home Price Index establishes attributes for a typical single-family home with a base value in 2005. From that starting point, changes in value are recorded over time to get a better sense of what is happening to pricing and where prices may be trending. The value for the typical single-family home in January of 2005 was $140,400. This value reached its peak in May of 2015 at $329,500. Currently this value is at $310,900. Even though this is up 0.8% from a year ago, it has been trending downward in the past 6 months very slightly.